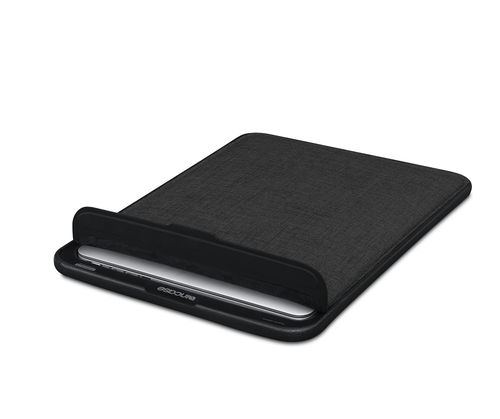 This sleeve for your MacBook Air or MacBook Pro is very stylish, with a top opening that is magnetically sealed. The external material is wool polyester and has been treated for durability, it repels moisture, mildew and chemicals - making sure your best equipment is protected. It also comes in two colours, the graphite (shown in the image) and an asphalt grey colour.